How Did You Get That Job? | how to get a dream job… fast! Give Your Dream Job a Title. Tell People the Kind of Dream Job You’d Like. Get Information about the Dream Job. Talk to a Person with the Power to Hire You for the Dream Job. Get the Skills You Lack. Apply for the Dream Job You Want. See what jobs are available that even sort of, maybe, kind of, you could do. Send your resume to those places (even places you’d hate to work). If you get an interview, go and do your best to convince them you’re perfect for a job you don’t particularly want, but will settle for. The shortest time it’s taken me to get a job my way is four months – putting in an average of one hour a day. Yep, one hour a day. Don’t think that’s very fast? The average job search now takes 19-22 weeks! But wait. There’s more. Let’s compare that to a job search I read about recently in the Atlanta Journal-Constitution where one Georgia job hunter has been searching for 28 months! (2 Television Director jobs, and a Creative Consultant job. to get it before there is a job opening. The world has changed. Jobs are fewer and farther between – not just in my competitive industry – in every field and industry. Using the old methods with new technology (computers that disqualify you sight unseen) will get you nowhere fast. By the way, that seventh step up there? Apply for the Dream Job You Want? This system is so effective that at the end of both job searches, I was offered a job without asking for it. And here’s the added bonus to the How Did You Get That Job? system: Two job searches netted me 26 years worth of dream jobs. I’ve had nearly two dozen different dream jobs during that time, from Production Assistant to Director to Associate Head Writer. But I haven’t had to do a formal job search in over 20 years because of the connections I made during my job searches and the jobs I got as a result. Ready to get back to work, and maybe even enjoy what you’ll do? Buy How Did You Get That Job? today. Hear the full interview (15 minutes) as author Susan Dansby talks to actor, Eric Sheffer Stevens, by clicking the link below. 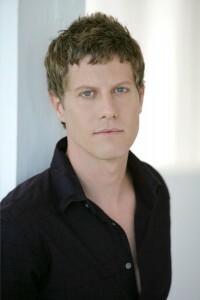 Actor Eric Sheffer Stevens, talks with author Susan Dansby about how he got his job playing Reid on As the World Turns. During the interview, Eric chats about the training he received in college, post-grad, private coaching, and paying his dues Off-Off Broadway. He takes us through the audition process, revealing how he keeps his perspective when competing with other actors. Eric also gives insight to adjustments he had to make to deal with the memorization requirements and the speed of soaps, and what he enjoyed about working in the genre. Click here to hear the Eric Sheffer Stevens/Susan Dansby interview. Dr. Reid Oliver (As the World Turns) was actor Eric Sheffer Stevens’s first recurring role in a soap opera. Here, he talks with a writer from that show about how he coped with the huge amounts of complex text he had to memorize, his process of breaking down a script, and the freedom that came with having to work so fast. Eric Sheffer Stevens: I think I didn’t have an appreciation for how difficult it was, how much memorization would go into it. Susan Dansby: We write 90 pages. They shoot maybe 80. And of that, 30 or 40 pages could be all you. Eric Sheffer Stevens: Right. There were definitely days where I just went, “Oh, my gosh,” as I was going through the script. And I got to a point where I would kind of start with that script two days ahead of time. Even if I were shooting something the next day, I would at least get to a certain point with that other script two days before, so that the day before it was easier to get it in your head. Then the next morning, I would go over it over coffee and cereal before I headed out to the studio. The first day, I definitely wasn’t – I’d memorized as much as I would normally do for a regular TV show. But you shoot that episode over a week or 10 days, and you have tons of rehearsal, and there’s tons of coverage. By the time it actually gets around to you, you know it so cold. And I was a little bit shocked that first day at how little you go over it before they just tape it. And then they keep it! Even if you walk into a wall, or you wanted to do something differently, they just go, “Okay, that’s a buy,” and move on. So, after that first day, I came home and just really buckled down; because I was having speeches to judges and policemen, and all this stuff. And there was medical jargon. So, I really wanted to have it in my head, so that I could have the freedom to kind of play with it when I was actually shooting it. If you don’t know well, when you’re just thinking of what your lines are. And that shows. Susan Dansby: And what is your process when are studying a script? What kind of questions do you ask yourself a few get that first look at the script? Do you break it down into beats? But I do break it down into beats, because there are definite beats in a scene as it goes together. And as far as — I don’t articulate what a character wants, or what a character is going for. Just the more I go over it, and as I’ve broken it down into beats, that becomes clear to me. Susan Dansby: What will you take it away from this experience on World Turns? Eric Sheffer Stevens: A few things. I really love working with those people. It’s a really warm, generous group of people. That was another aspect of it that I — I’m not sure I had any preconceived notion of it; but everybody was very humble, very helpful, very gracious. It was great group; so, it left me a lot of great memories, even though it was only nine months that I was on. It was a fun time to be on, at the end of that show. I got very sentimental about it, even though I hadn’t been part of that community for very long. So, that was really fantastic. And also, I think, what we talked about before. It really developed a whole different set of muscles; and having to make decisions that quickly, and shooting that fast, helped me a lot as an actor. I think it developed — I don’t know — a whole other set of tools or something. To be able to read a script, and react to it that quickly. That’s definitely with me in anything else I’m going to do or audition for. So, that’s very helpful. Actor Eric Sheffer Stevens talks about the actual audition process that led to his recurring soap role as Dr. Reid Oliver on As the World Turns. Eric shares a joke that helps him keep the proper perspective during auditions. Susan Dansby: So, how did you get the job on World Turns? Did you read scenes with Mary Clay Boland, the casting director? What was the process? Eric Sheffer Stevens: Yeah, I went in for Mary Clay. I had been in once or twice before for different parts — I’m not sure what. Yeah, it went very well. I came in and read for her — and it was just with her. From reading the scene, I guess it was a made-up scene. It wasn’t something that actually figured into the storyline. Actor Eric Sheffer Stevens (who played the gay neurosurgeon, Reid Oliver, on the soap opera, As the World Turns, talks about his acting training in college. That training continued with private coaching, Off-Off Broadway roles, grad school, and even with his recurring role in the soap – where he exercised different acting muscles. 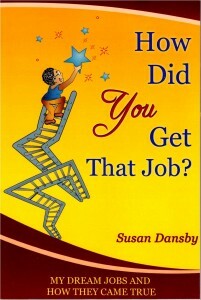 Susan Dansby: Were you interested in acting when you were a kid? Hear the full interview (23 minutes) as author Susan Dansby talks to Assistant Casting Director, Kate Martineau Adams, by clicking the link below. Kate Martineau Adams talks about how work and family became interconnected during her stint as Assistant Casting Director on As the World Turns. Kate Martineau Adams reveals how love of soaps helped her land a dream job. Here, the former assistant casting director answers the question: How Did You Get That Job?, and shares how rewarding it is to see the actors you’ve cast at work.